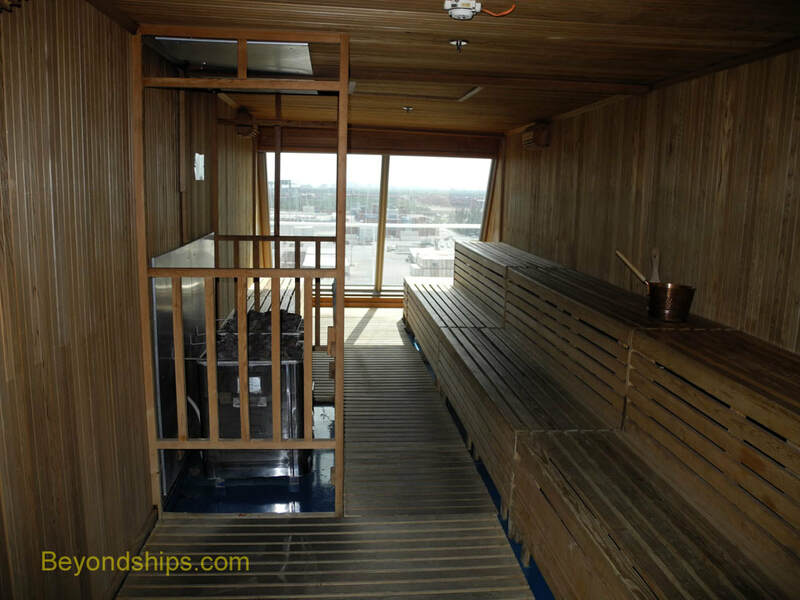 Ranch (Read our article about the spa including an interview with the Spa manager) It is located forward on Deck 7 with the entrance on the port side. 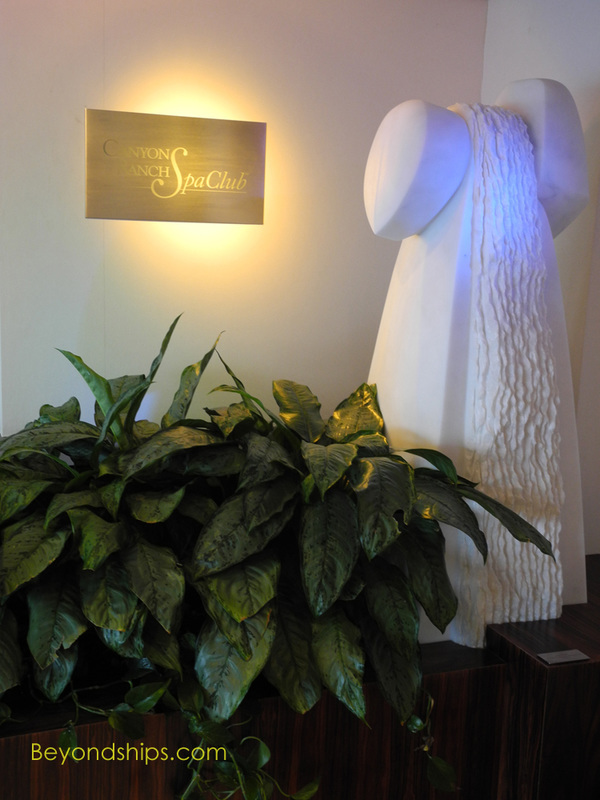 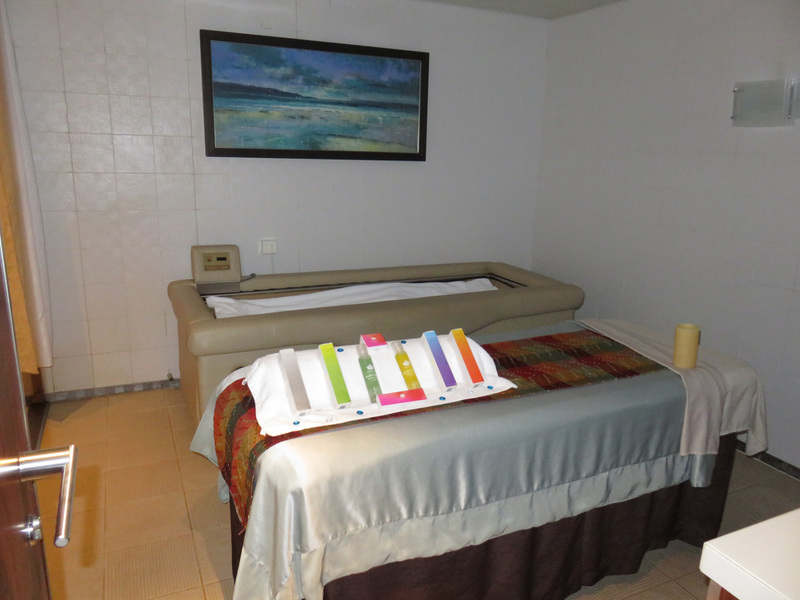 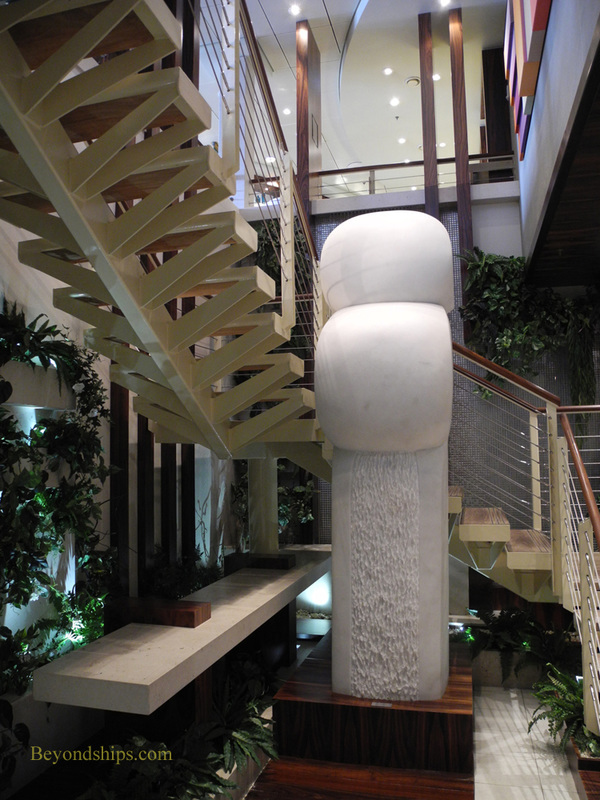 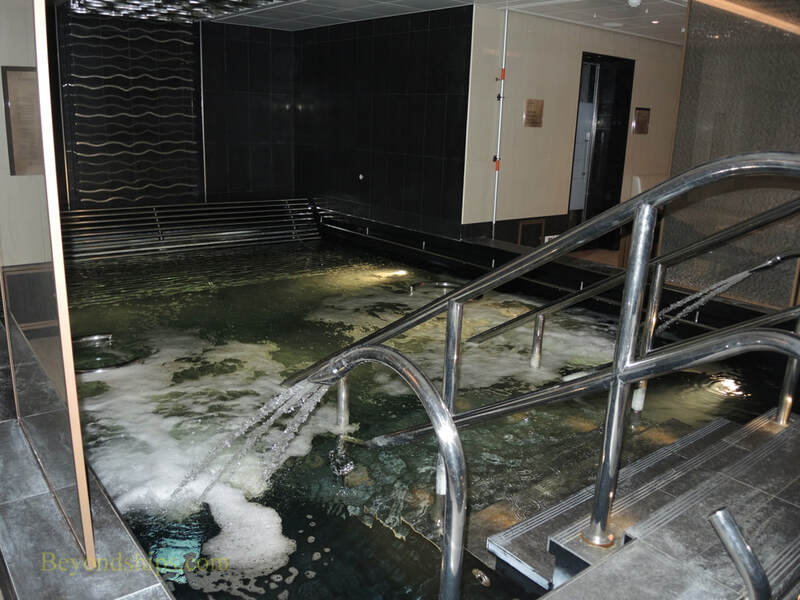 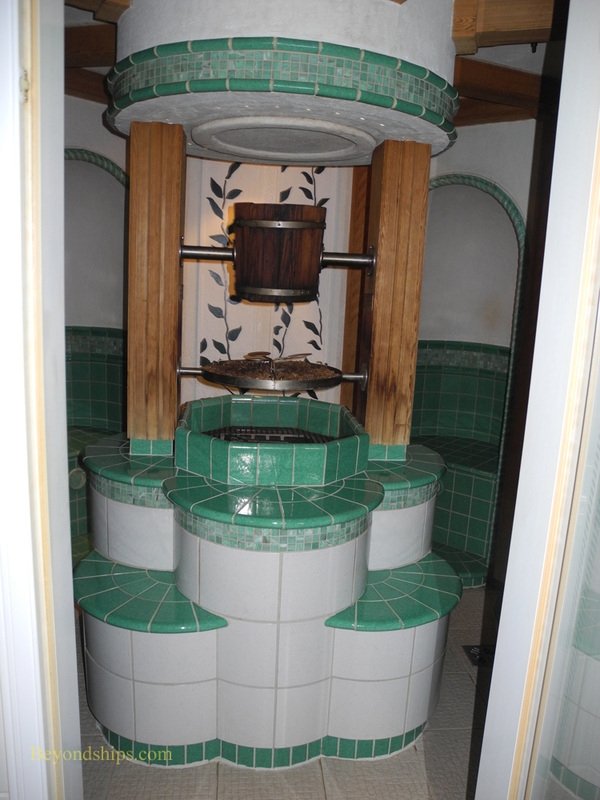 In addition, there are treatment rooms (left and above) and an area where guests can relax with a glass of fruit juice before or after treatments (below). 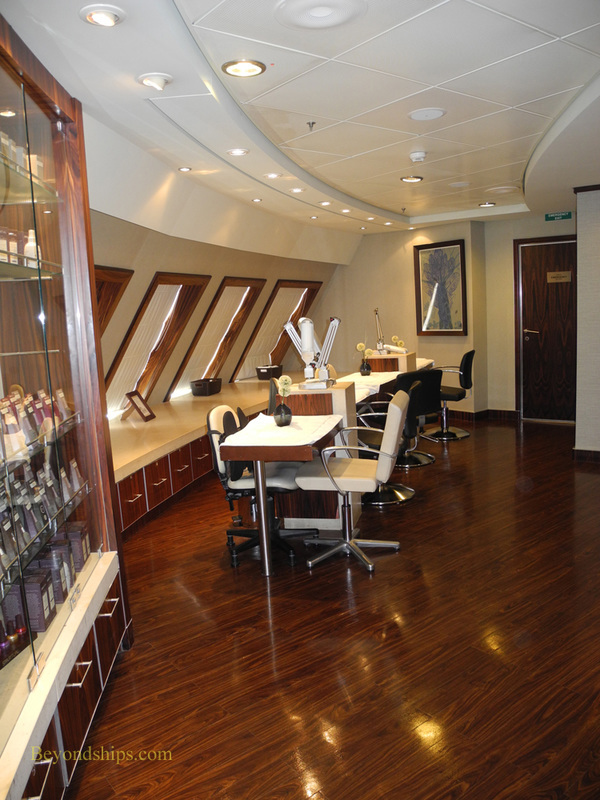 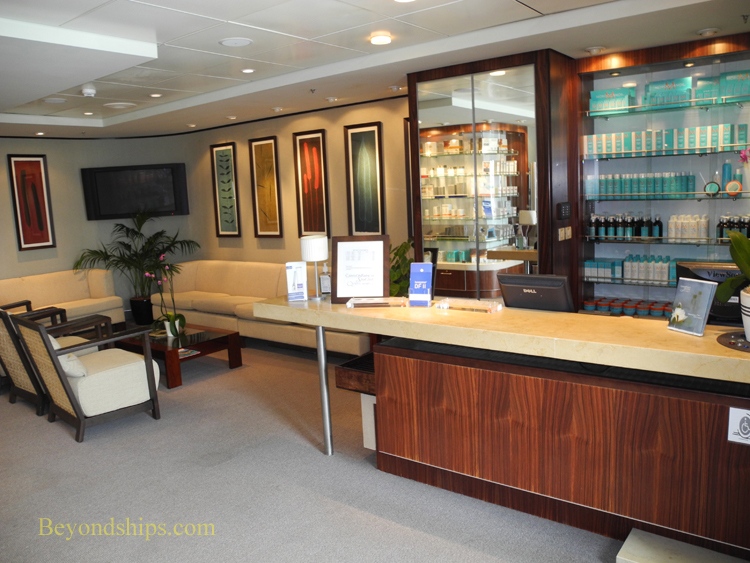 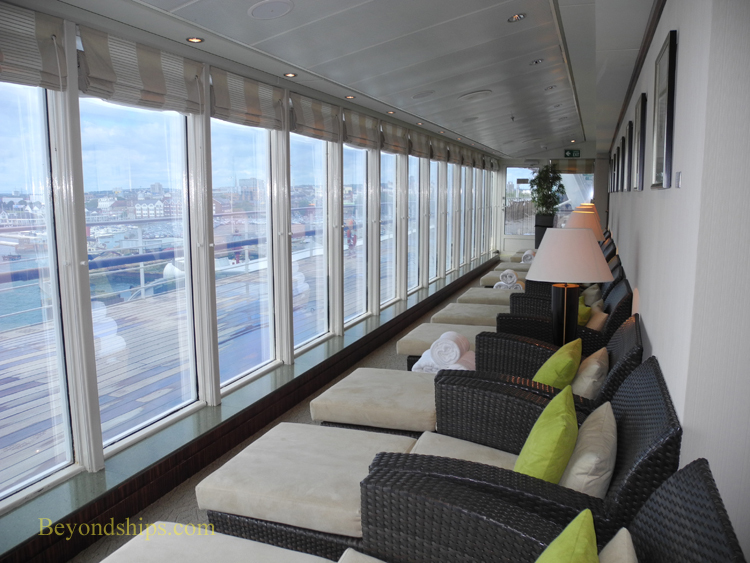 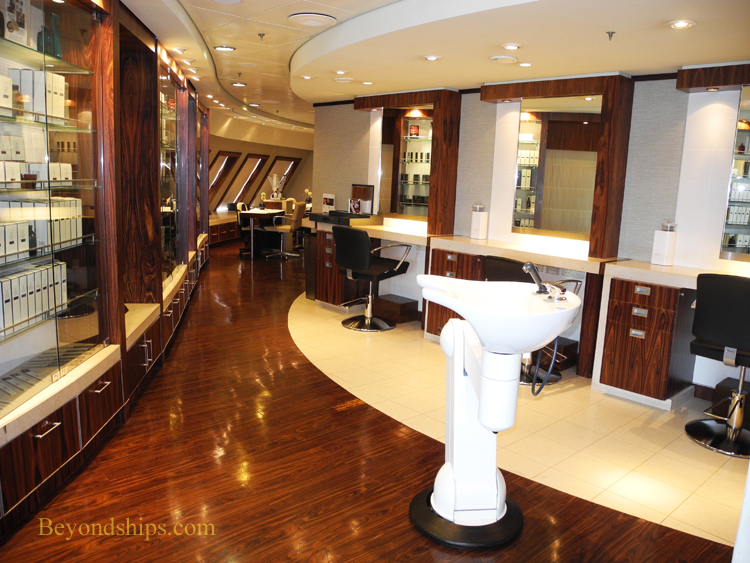 Another part of the spa is the Hair and Beauty Salon on Deck 8. 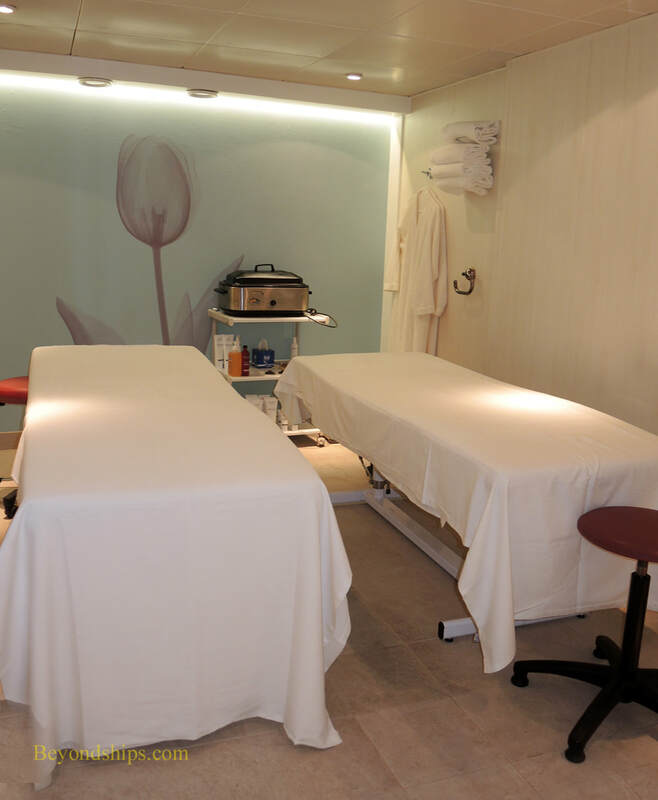 There are services for both men and women. 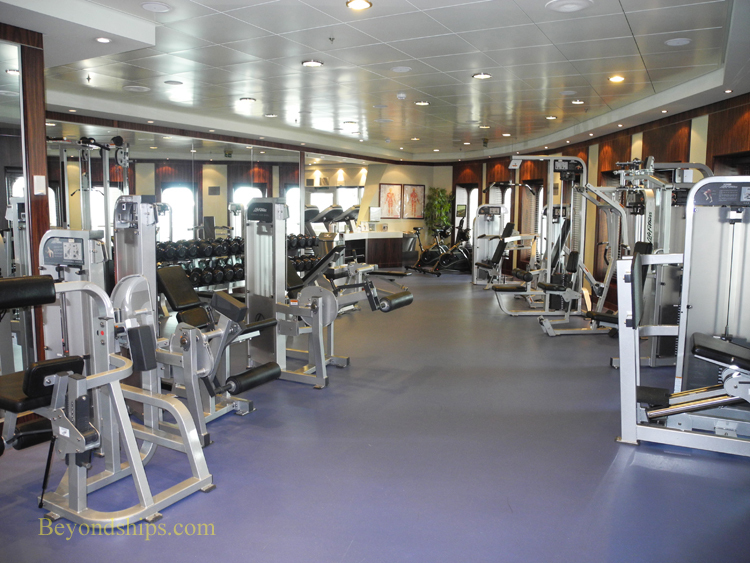 Back on Deck 7, the third section of the Spa complex is the Gym. 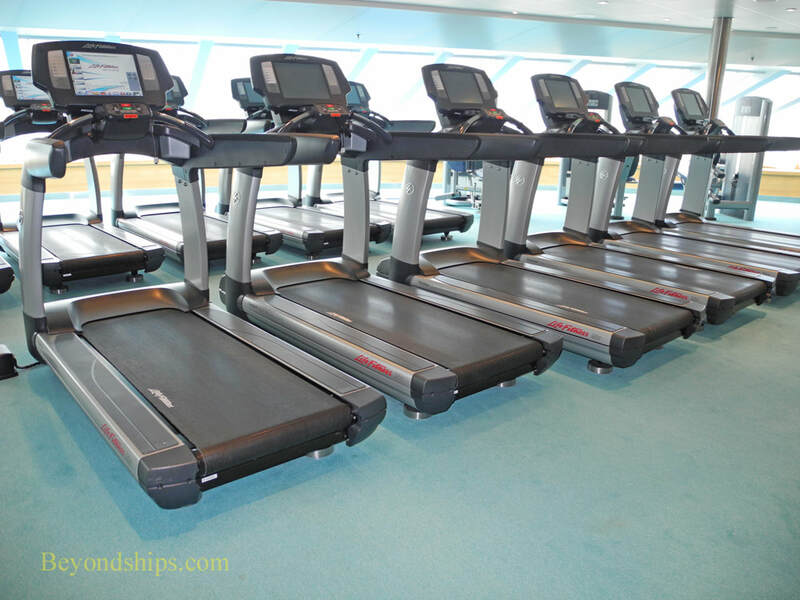 It has treadmills (above left) and other cardiovascular exercise machines as well as weight machines (above right) and free weights (left). 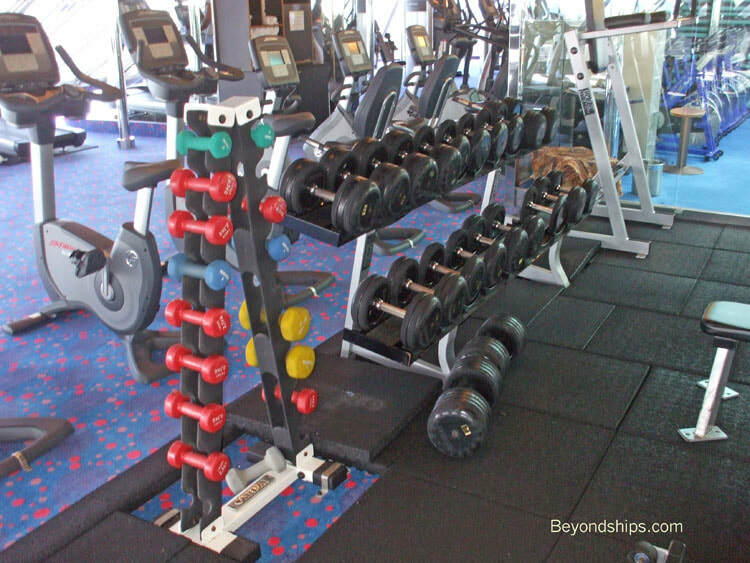 There are also exercise classes, lectures and individual instruction.